France qualified to the 2012 London Olympics via the additional FIBA Qualifying Tournament, but they have proven their worth after a spectacular performance on Thursday night. 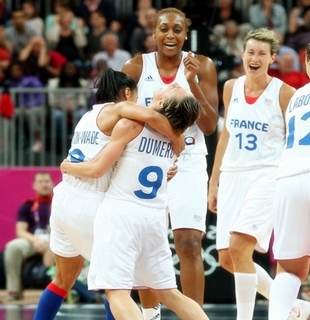 The French women’s squad, who are playing just in their second Olympics, cruised to an 81-64 semifinal win over Russia to advance to the gold-medal match of the women’s basketball competition of the 2012 London Games. Edwidge Lawson-Wade spearheaded France’s balance offensive attack as she erupted for 18 points and dished out five assists, while Emilie Gomis added 15 points, helping France set up a gold-medal duel with powerhouse USA. The American squad, who are the favorites to win the tournament, earned a finals berth earlier with a come-from-behind 86-73 win over Australia in the first semis game of the day. 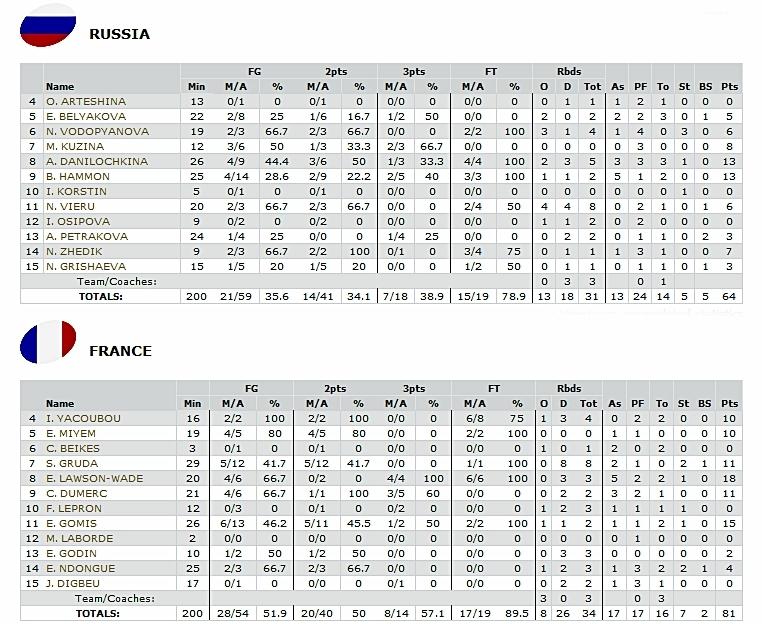 Celine Dumerc and Sandrine Gruda also had outstanding games with both of them finishing with 11 points with the latter adding eight boards, while Isabelle Yacoubou and Endene Miyem added 10 points apiece for France, who were in cruise control for the entire match. Starting the game with an 8-0 blast, France never surrendered the lead and led by as much as 14 points in the first half, but got some scare in the second half as Russia started to trim their lead. Russia pulled within two points in the third period, but France unleashed another furious rally that was simply too much to absorb for the tired-looking Russian squad. France, who finished fifth in their first-ever Olympic stint during the 2000 Sydney Olympics, remained unbeaten in seven games in the tournament.